At OCS, we give our employees the opportunity to carve their own path. We will regularly assess the skills, experience, performance and ambitions of our employees to help them work out where they want to go and how best to get there. We are always there to help our employees cope with the demands of working in IT consultancy, and reap benefits both financial and intellectual. We pride ourselves on fostering an encouraging an open environment, where people are approachable and all voices are heard. 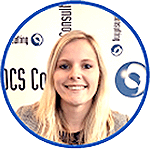 OCS is a dynamic, fast paced IT consultancy at the forefront of leading edge technology. Working for an IT consultancy can be demanding and may involve working out of hours and you may be required to travel to client sites. OCS will give you all the support you need and the rewards for success are excellent. Your future with OCS is in your hands and we will treat you as an individual with your own unique goals. We are all key to the company's reputation - we employ and develop the best. We will review all of our employment practices and procedures to ensure fairness. OCS is committed to eliminating discrimination and encouraging diversity amongst our workforce. Our aim is that our workforce will be truly representative of all sections of society and each employee feels respected and able to give their best. To that end the purpose of this policy is to provide equality and fairness for all in our employment and not to discriminate on grounds of gender, marital status, race, ethnic origin, colour, nationality, national origin, disability, sexual orientation, religion or age. We oppose all forms of unlawful and unfair discrimination. All employees, whether part-time, full-time or temporary, will be treated fairly and with respect. Selection for employment, promotion, training or any other benefit will be on the basis of aptitude and ability. All employees will be helped and encouraged to develop their full potential and the talents and resources of the workforce will be fully utilised to maximise the efficiency of the organisation. 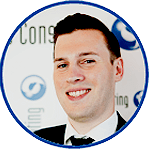 My name is Martin, 29 years old and I am one of the consultants at OCS Consulting. I grew up in the south of Germany and I completed my MSc in Business Informatics in my hometown Landshut. During this time, I worked as a service desk agent for a manufacturer of brewing systems. While spending some time in Auckland, New Zealand for an internship a couple of years ago, I met my Dutch girlfriend and eventually moved to Eindhoven in 2015. This is also when I started my career at OCS. After making acquaintance with the tricks of the trade in the world of SAS, I was very excited to gather some experience in the field. Looking back at the last 2,5 years I think it was a great approach to first join and assist other consultants at client assignments and then gradually increase my responsibilities up to a degree where I found myself to be the project lead. Being a consultant means experiencing a lot of different situations – but with every one of them you have the chance to combine your experience with new information and to master new challenges. In my free time, I enjoy traveling to exotic places and vibrant cities and expand my horizon. Another passion of mine is sports and I enjoy watching football matches of my favourite club FC Bayern Munich or NBA games just as much as going outside for a run myself or playing an occasional match of football or basketball with my friends. Furthermore, I am always up-to-date on the latest smartphone news and trends. My name is Louella, I am 25 years old and I live in Rosmalen. For now, I moved back in with my parents. However, I hope to find my own place in Den Bosch or Rosmalen soon. Before moving back to Rosmalen, I lived in Wageningen where I completed my masters Nutrition and Health at the Wageningen University in November 2017. During my masters I specialised in Nutritional Physiology and Health Status, which I thought was very interesting. My hobbies are fitness, skiing, reading, cooking (especially baking). In my spare time I like to meet up with friends to catch a movie, have coffee or dinner together or to play pubquizzes. Why do I attend the OCS Life Sciences Boot Camp? After graduating, I was searching for a challenging new position. I wasn’t specifically looking for a position in a particular field, but for one in which I could utilise knowledge from my studies, but which also granted the opportunity to develop myself and acquire new skills. During my Master thesis and internship, I worked with datasets and discovered that I enjoy working with data and solving logical puzzles. The OCS Life Sciences Boot Camp provided me with a setting that combines all these things! What do I think of the OCS Life Sciences Boot Camp? So far, I thoroughly enjoy the OCS Life Science Boot Camp. I’ve learned all about the basic concepts and possibilities of SAS and furthermore, I have gotten to know my fellow boot-campers and all other colleagues at the office a little bit better. Starting the boot camp in a team setting together with Maud and Fatima has been very nice. Also, I found all colleagues to be very willing to help whenever we had questions or issues with SAS. This has really contributed to the pleasant experience thus far. I have recently obtained my SAS Base programmer certificate and I already started to work with real-life data. 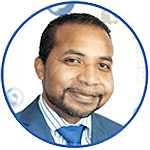 My name is Kenneth and I am the Managed Services Lead at OCS Consulting. After completing my BSc in Business Informatics I had several jobs in IT, from Servicedesk Manager at an Internet Service Provider through System Administrator at a Global HR Services Company to IT Consultant at Oracle. This job lasted for 10 years in which I was often away from home, traveling around the globe. In the year that I’m now working for OCS Consulting I got to know OCS as a great company to work for. And yes, one would easily say that about the company they work for, however here every achievement is a team effort and the focus is on recognising one’s true potential and create an opportunity to use the best capabilities of that person to the fullest. I’m still shaping the Managed services department and work together with our clients to set it up in such a way that our efforts do best serve their needs. In my spare time I like to travel to places not overcrowded by tourists. During the festival season I love to visit (Latin) Festivals. My love for Latin dances began when I first started to take Salsa lessons 20 years ago, which eventually ended up in teaching Samba to a class of around 12 people for a short period. Furthermore, I like fishing, visit museums, attending quantum mechanics lectures and do voluntary work.